Dudleya pulverulenta is spectacular in the garden but particular in its needs. The Chalk Liveforever does so only when treated with the proper conditions. Dudleya pulverulenta should be planted where it will get dry Summer conditions. The rosette should be planted on an angle so that water will not collect. I like planting the Chalk Liveforever into the face of a drylaid rock wall. 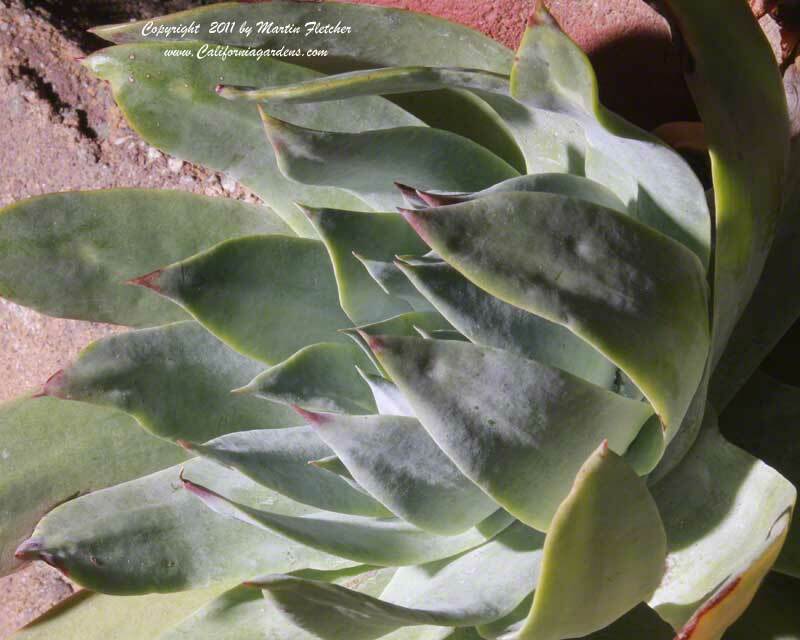 Dudleya pulverulenta will grow a rosette of leaves up to 2 feet across. Plants produce stalks of red flowers late Spring into Summer. Dudleya pulverulenta is Winter hardy into the low teens. Chalky white foliage of Dudleya pulverulenta - Chalk Liveforever. High resolution photos are part of our garden image collection.